Instructions for Sunday Servant leaders on how to request and signup leaders for Breeze. Open your web browser on your computer and visit: allsaints.breezechms.com. Alternatively, you can use the phone app; search for Breeze CHMS in your app store. Click through Events (tab) > On the calendar, click on the right date/event > Click View Details > Click Volunteers to navigate to the right page and event you need to sign up volunteers for. A few options here; you can look at the current volunteers via the List or Grid view and type in names on the open spots. Or, you can click the green Add Volunteers button. If you click the down arrow on Add Volunteers, a dropdown menu appears. You can Set Quantities, Send Schedules, or Request Volunteers. With the latter, this brings a popup menu that lets you request potential volunteers for specific dates, roles, along with a customized message. Volunteers will receive an email that lets them respond directly and instantly to your request. Their answer shows up immediately on the schedule and they'll automatically receive reminder notifications (if they signed up) for their role. For Breeze help, email Cody. For Sunday Servant help, email Brittany. To look at more info on Breeze, go here. Follow the link here to view a calendar of meetings, times, and locations. Be clear and authentic, share what is essential for others to know, keep each other in the loop. In our working together, we will: honor each other’s different styles and gifts, respect other’s time and our own; honor timeframes, be clear about who is responsible for what, do what we say we will do., encourage and celebrate with one another. ask for help., share the same vision and coordinate our plans to make the vision a reality, reflect to learn and improve, request and offer feedback gently, honestly, and individually, when appropriate. 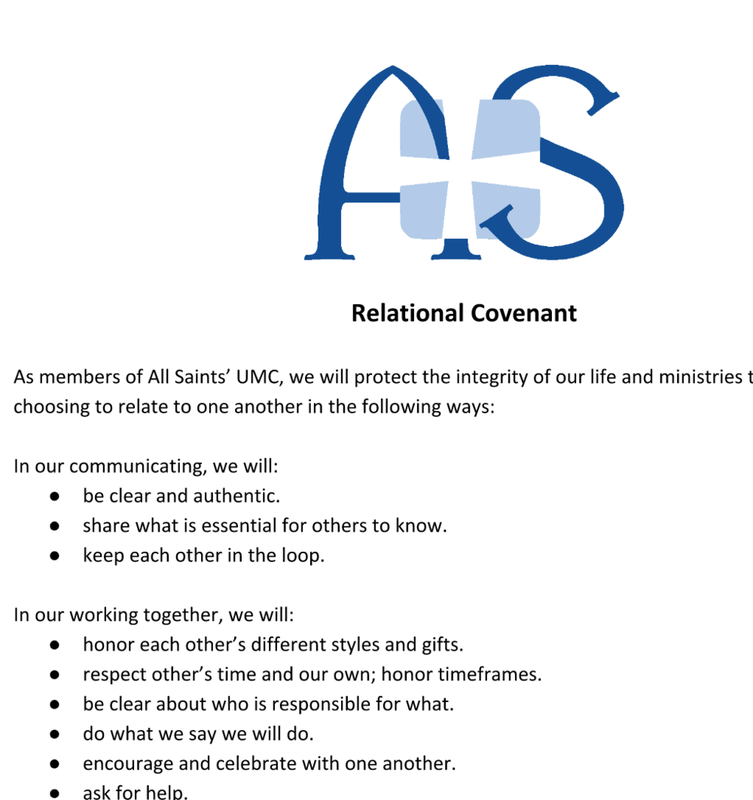 In our relationships, we will: listen to one another, seeking to understand, assume positive intent and have positive intent, be sensitive to one another, watch over one another in love, pray with and for one another, go one-on-one when we’ve been offended, not triangulate, forgive and seek reconciliation.